Max Shelby made his fortune in oil wells and cattle but lost the love of his life the day his wife died, over ten years ago. Now, his happy, carefree, little girl needs instruction and guidance as she grows into a young lady and his dream of becoming a Senator from his adopted state of Texas seems out of reach with few political or social connections. The right wife would solve both problems. As it happens his sister knows of a woman, a recent widow, charming, beautiful and socially astute, but in reduced circumstances, who may want to begin again. Max signed the wedding contract sight unseen. 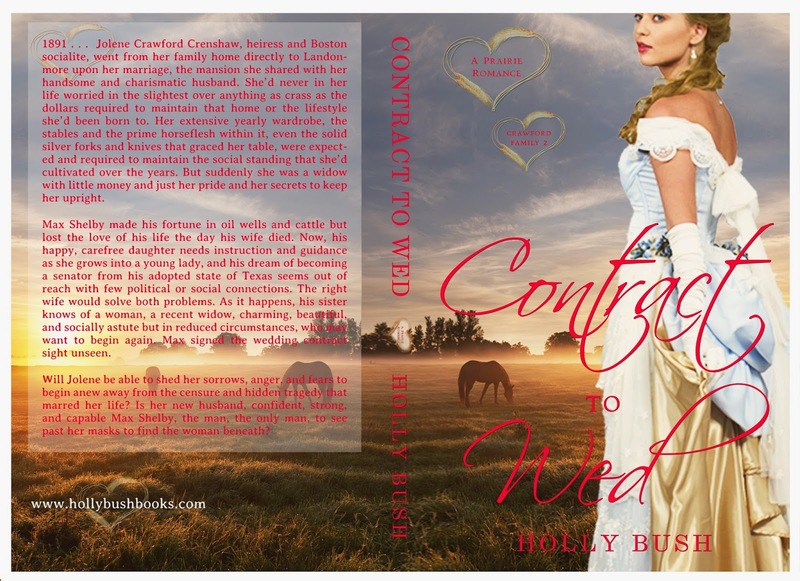 Contract to Wed is available now in ebook and print format on Amazon. Add it to your shelves on Goodreads, and check out Holly's website!